I’m someone who loves to read, loves books with a depth of feeling I find hard to convey in words. If you’re a fellow book lover, you know what I mean. 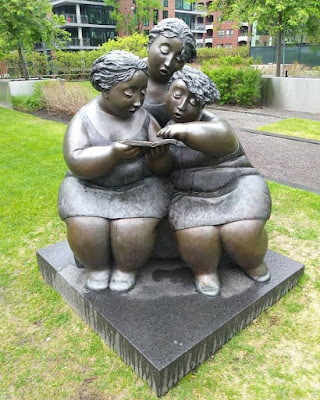 But I’m also a reading rebel, of a sort, who believes strongly in people’s right to develop their own relationships with stories, read what they want, or not read at all. Prescriptivism only ever gets in the way of enjoyment. We pick our way through prickly grass, shriveled and brown from an excess of sun and shortage of rain, shake out our slightly musty lawn chairs, and settle in front of the stage, a simple fake-stone structure serving as backdrop to one of the most well-known plays in the Western canon. My mother used to bring me and my sister to see a Shakespeare-in-the-Park show every summer when we were growing up, and after years of missing it, I’ve picked up the tradition once more as an adult. Two years ago the production was an all-women version of Julius Caesar. Last year it was a 50’s themed take on Much Ado About Nothing. And this year, a very queer Romeo and Juliet. Our local theater company that puts on these productions likes to do something fresh and modern with such well-worn material, as many great modern Shakespeare companies do. They’re also incredibly skilled, the actors featured often winning awards for their performances. I’m watching the performance with my sister, who’s long been in love with both musical theater and Shakespeare. She’s watched the recording of the 2014 Donmar Warehouse production of Coriolanus multiple times, and tries to convince all her friends to see it, too. 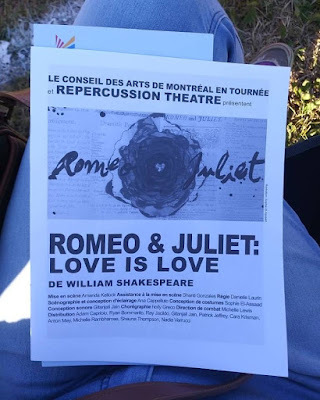 She once drove 2 ½ hours to Ottawa to see a National Theatre Live show that wasn’t going to be airing in our home city of Montreal. When she was backpacking in the UK, a highlight of London was seeing a production of Macbeth at the Globe Theatre. I, on the other hand, am a much more casual fan. For the most part I’m purely a Shakespeare-in-the-Park person. 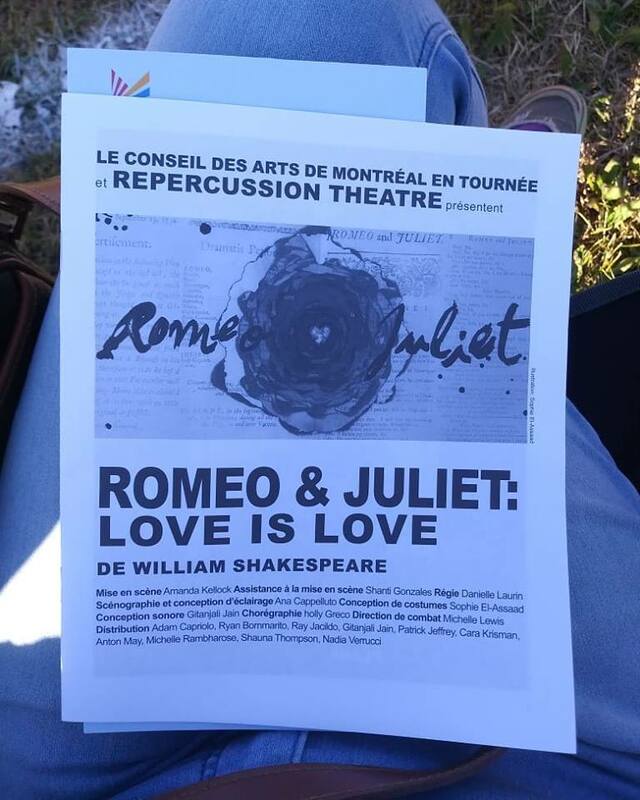 Romeo & Juliet: Love Is Love, put on by Repercussion Theatre. As my sister and I headed home from the play, shirts buttoned up against the surprisingly chilly summer evening, we were laughing about some of our favourite amusing bits (from the first half, before everything becomes tragic) and discussing the thematic relevance of making Romeo and Juliet a lesbian couple, with parents hell bent on their children only partnering with the “right” people. Sometimes classic works can really be imbued with a sense of timelessness, and bring joy to people long, long after their creators could have ever imagined. When I first started this post, I was thinking of “the classics” as the Western canon generally foisted upon high school students. But I quickly branched out to cover “classics of the genre,” and just anything that’s held up as classic in one way or another. The works people place on a pedestal. The ones people are told they have to read. There’s a devotion in our culture to those canons, an awe felt towards works that have, as far as I can tell, been chosen as best somewhat arbitrarily. It’s not that classics aren’t generally good in some way (though some are, in my opinion, genuinely bad and just dressed up in enough pretension to fool people who aren’t looking too closely), but best? Out of everything countless people have created and produced and shared? When it comes to art and literature, I don’t think there is such a thing as “best,” a judgement that’s just far too subjective. My family’s home has always been filled with scores of science fiction and fantasy paperbacks. It’s easily the most popular genre in this house. And as I reached the beginnings of my teens and started looking towards adult books, I tried picking up some of the supposed sci-fi greats, people you’d surely recognize even if you're not a reader of the genre yourself, like Isaac Asimov, Robert Heinlein, and Arthur C. Clarke. And that’s the first time I can remember questioning the place of “classics,” and whether the works endowed with such a title were really so deserving of my time. There’s a certain way that those male writers talk about women, and though I didn’t have the vocabulary or understanding back then to fully recognize why those books I attempted to read (and often gave up on) made me uncomfortable, I now know the simple reason is “misogyny.” Undaunted, I dove into genre fiction, preferring the fantasy end of the spectrum, and gravitating towards newer releases. I’ve been loving SFF for many years now, choosing my reading material primarily from the ranks of genre fiction, but I found that same frustration I had all those years ago with big-name male writers creeping back in. Time and time again I’d read stories by very well respected male authors and find that the women characters were nothing but props and prizes or cartoon villains, cardboard cut-outs of straight male fantasies or “bad” women who didn’t perform femininity “correctly.” To say I was becoming disillusioned with all of those writers held up as masters, who seemed completely incapable of writing interesting women with engaging storylines, would be an understatement. For myself, I just decided several years ago that my reading world would be richer and more rewarding if I severely cut down on authors most likely to write terribly about women (aka men), and I have never looked back. I haven’t cut out books by men completely: I still read some books by male authors I already know I like, books by marginalized men, and books by men that have been recommended by people whose taste I trust. But to put it in perspective, I’ve read more books this year by nonbinary authors than by men, and out of the 55 books I read in 2017 only 4 were by men. I imagine this choice will strike some people as unfair, but I have only so much time to read, only so many books I can read in my lifetime, and each book I choose to read means another book left unread. Each book that leaves me disappointed is time that could have been spent on something that enchants me instead. My parameters for choosing books are designed to prioritize the books I think I’m most likely to like, and my experience has taught me that I generally prefer books by people who aren’t men. So that is what I read. I also almost exclusively read newer books, those published in the last fifteen years or so. It brings me great joy to stay on top of new releases in my chosen genres, to read books that are extraordinarily timely (as they’re products of the world we are currently living in), and ones that will likely end up on the ballots of my favorite awards. I’m constantly asking my library to purchase new and upcoming books, and delight in discovering promising emerging authors. In choosing to focus on newer books, I also read more diverse books, since the industry is changing and the authors who used to get shut out--authors of colour, queer and trans authors--are at least starting to be recognized. As I mentioned previously, there can be a lot of gatekeeping in the SFF genre (and, I imagine, other genres as well), with ideas that you have to start with “the classics” when entering a genre. That you have to read Tolkein if you want to read fantasy. I almost finished The Hobbit. 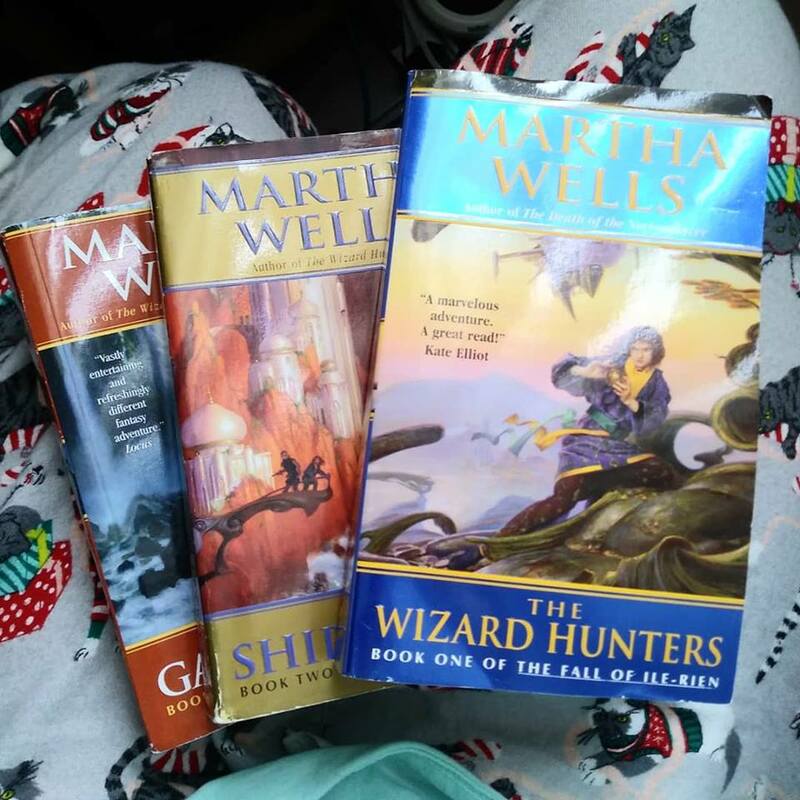 The Lord of the Rings trilogy bored me immensely, meaning I never finished the first book, and if I’d believed those gatekeepers back in the day, the ones who say there’s only one door that everyone must pass through, I would have missed out on an entire world of literature that makes my heart sing. I tried reading Jane Eyre at some point in my teens, and was deeply bored. I picked up a couple of other very old books in my teens and found myself similarly uninterested. It’s only this year, after diving into the world of modern historical romance, that I decided it might be time to give some books by Jane Austen a try. An audiobook would be a good medium to tackle such a novel, I decided, and I picked a narrator I was familiar with, one I knew I liked, out of the dozens, perhaps hundreds of recorded versions. I know the story of Pride and Prejudice quite well thanks to countless film and book riffs on the story, and I’m happy to say I’m enjoying it! The immersion in a different time period, the sly humor, the differences in story construction between a Georgian and modern novel. It’s not that I’ve decided everything old is bad, just that newer generally means more relevant, unless you’re specifically interested in understanding the history of a genre, or a time period. If someone came to me and said “I want to start reading SFF. Where should I start?” by now it should surprise no one that I’d pull out modern suggestions, by women, as my top picks. Something by N. K. Jemisin, either The Hundred Thousand Kingdoms or The Fifth Season, depending on how dark and complex a read someone was looking for. The Ancillary series by Ann Leckie, for certain. I’d say they should definitely pick up something by Naomi Novik and Martha Wells. I’d make sure to note some new authors to watch, like Ruthanna Emrys and Rebecca Roanhorse, C. L. Polk and Alexandra Rowland. I’d let them know about some of my very favourite series, like Wayward Children by Seanan McGuire, and the Spiritwalker trilogy by Kate Elliott. 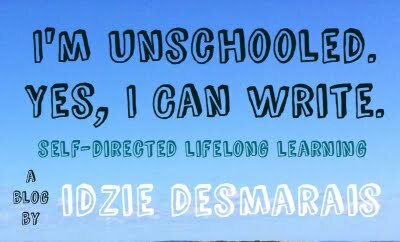 But I’d also be very sure to make it clear that my beloved books might not be theirs, that the experience I’ve built in the genre is tailored specifically to me, to my interests, to the themes I find captivating. Maybe they would like entirely different authors, different stories, different experiences. My argument against attempting to force anyone, children most definitely included, to read “classics” feels like a very personal one to me: I don’t read many, and I’m fine. But going deeper than that, I credit not being forced to read things other people decided were best for me with allowing me the space to find what I, personally, loved about books and reading. I wasn’t turned off of reading, or turned off of a certain genre or type of book, by being forced across a threshold that was not meant for me. Letting people come to things in their own time, when and if they want to, allows them to figure out what’s right for them, which parts of the literary world they wish to explore and which parts they want to steer clear of. In trying to force the same set of books on everyone, you push people towards things that most will find irrelevant, outdated, and not at all in line with their interests. You turn what could be something positive for some percentage of those people into a chore instead. There’s a big difference between introducing works you think are interesting and important, and deciding to dictate to another person what they themselves should like and care about. In the relentless amplifying of so-called classics, too many people fall into the latter category. The world of books and reading can be a fantastic one to explore. Lets stop ruining it for others by insisting there’s only one path to take.